My family eats a lot of ground turkey. My state was not mentioned as one of the affected areas but with 26 states affected, this is a huge recall! 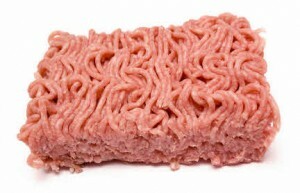 Cargill, a major meat distributer, is recalling 36 million pounds of ground turkey linked to a nationwide salmonella outbreak that has killed one person in California and sickened at least 76 others. They are recalling both fresh and frozen turkey. If you find the affected meat in your freezer return it to the store you purchased it for a full refund. All of the packages recalled include the code “Est. P-963” on the label, according to Cargill. The packages were labeled with many different brands, including Cargill’s Honeysuckle White. The states with the highest number sickened were Michigan and Ohio with 10 illnesses each, 9 reports in Texas, 7 in Illinois, 6 in California and 5 in Pennsylvania. The remaining states affected include Alabama, Arizona, Georgia, Iowa, Indiana, Kentucky, Louisiana, Massachusetts, Minnesota, Missouri, Mississippi, North Carolina, Nebraska, Nevada, New York, Oklahoma, Oregon, South Dakota, Tennessee and Wisconsin. Thanks, Time, Yahoo News & Coupons are Great! this might be a stupid question but does is have to say est. p963? just looked in my freezer and have 2 big packs with p963 without the est. before it. I was going to call the store but figured asking if you knew first was a good idea. found the answer on the website. mine are indeed part of the recall. THANKS!!! I’m so glad you say that to get it returned to the store!